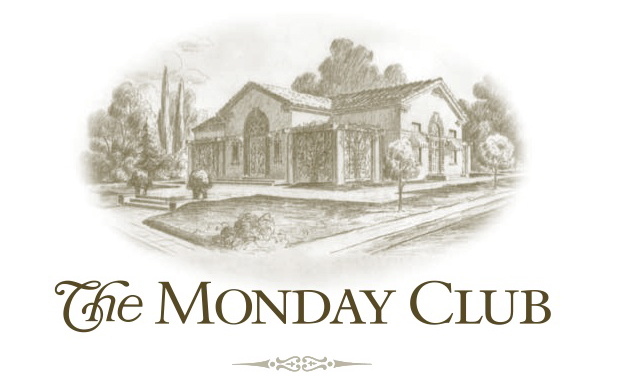 CCC is a great way to meet new friends among the members of The Monday Club! We meet every third Monday,10 AM until noon, at The Monday Club. We gather as women who love to come together in an informal way, sitting around a table to enjoy the process of becoming friends. We do this through sharing our beloved books with each other, having the most delightful Conversations, drinking deliciously strong Coffee (or sipping a gratifying cup of tea), and enjoying delectable homemade Confections. Please come and join our simply agreeable group of well informed, clever women who have a great deal of Conversations, on our adventure into friendship! If you have any questions, please call Cathy Kwasigroch at (805) 459-7736.